Looking for a lifestyle/tow ute? Well, from the heart of Thailand comes...pretty much any Asian-brand one-tonner you'd care to think of. Thailand is the epicentre for purposeful pick-up trucks, including this month's review vehicle: the Mazda BT-50. These Thai utes are a good bunch: strong on ability and image. There are a couple of very specific problems with the BT-50, though, so we'd better get those out of the way. The first is that if you're reading this after October 15, an all-new BT-50 will already have made its world debut at the Sydney International Motor Show, meaning that the current version is on the brink of being so-last-season. The second issue with the BT-50 is that it's not terribly popular in the tray-toting scheme of things. Year-to-date the running order on the ute sales charts goes something like: Toyota Hilux, Nissan Navara, Ford Ranger, Holden Colorado, Mitsubishi Triton – and then our present protagonist, the BT-50. Odd, given the podium-placed Ranger is essentially the same vehicle. 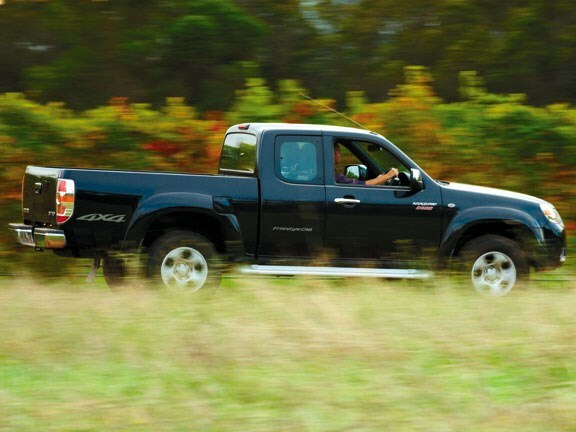 Seems there's just something about a Mazda ute that doesn't grab us Kiwis. In Australia the BT-50 easily beats the Ranger. Mazda New Zealand is attempting to address both of those issues by an increased advertising/marketing focusing on the BT-50 as a glamorous lifestyle vehicle rather than mere workhorse, showcasing the range of accessories on offer. This theoretically gives the BT-50 broader appeal – and serves as a bit of a sales hurry-up as the vehicle enters runout. The BT-50 sticks closely to the current one-tonne formula. That's good news, for it means a torquey diesel powerplant, tough separate-chassis construction and the ability to tow no less than three tonnes in the SDX 4WD manual specification featured here. Opt for the automatic (like the manual, it's a five-speeder) and you might get an easier time through city traffic, but you do give up 500kg of that towability. The 3.0-litre turbo diesel four is de rigueur for the class. It's gruff (aren't they all?) but with a mighty 380Nm of torque on tap at just 1800rpm it makes light work of whatever you throw at it. Mazda offers a range of BT-50 models in rear or part-time four-wheel drive (but both with high ride height). 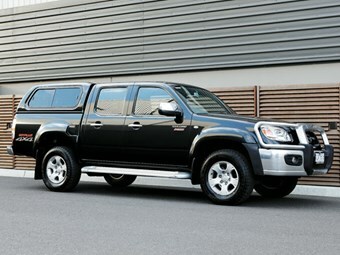 Our SDX double-cab is the latter, but you can trim $7500 off the sticker price by going for the two-wheel drive version. 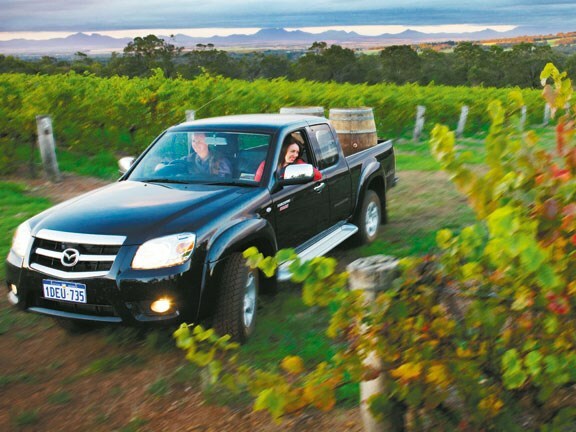 A ute of this type is never going to ride or handle as well as a crossover wagon, with ball-and-nut steering and a rigid axle at the back (all the better for off-roading). But put some weight in/on the back and the BT-50 is an entirely competent on-road express. With a relatively slow tiller, a mountain of torque and big, bouncy footwear, you have to steer smoothly and watch the back wheels as you power out of third-gear corners in the wet. But that's true of any pick-up. Be deliberate and economical with your inputs and it's actually quite an enjoyable experience. After all, who wouldn't feel great driving a truck? Pick-ups stopped having rudimentary interiors years ago. In fact, one of the features of the BT-50 when it launched back in 2006 was a car-like cabin. The materials are still very durable and some of the macho styling detail is a bit contrived, but there's very little to make you feel like you're roughing it. Even if you're offroad and in the rough. A bugbear of these types of double-cab utes is usually an upright rear seat that does not lend itself to long-haul travel. The Mazda is no different, although there's plenty of legroom and a great view out. The BT-50 is still a great ute, no question – brand preference aside, certainly as capable as the competition in the areas where it counts. Given its current model-cycle and sales status, it's probably also the right time to ask for a great deal. 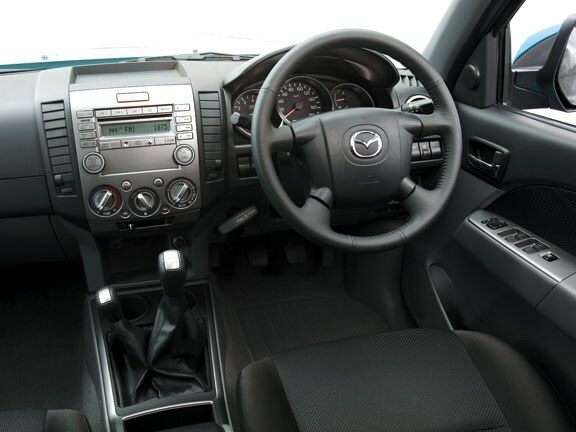 See the Mazda BT-50 for sale.